T. silvestris is widespread in central and southern England and Wales, but very scattered further north. The species occurs across the whole of Europe and into the Ukraine and Moldavia, although it is absent from Scandinavia (Maurer 1992). 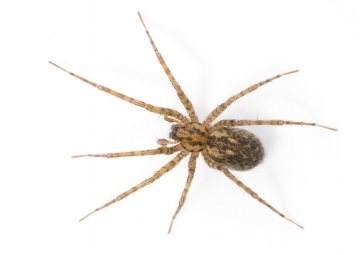 This spider is often associated with woodland (Roberts 1995), where it occurs in damp situations where sheet webs can be constructed, such as low banks and ditches, and in open vegetation along rides. It can also be found in caves, under bark, logs and stones, and sometimes on scrubby waste ground and along railway lines. Occasionally it enters houses. Its small size may sometimes cause it to be disregarded as immature. Adults have been found most of the year, both sexes mainly in spring and early summer, and late summer or autumn. Authors of profile: Greg Hitchcock & Geoff Oxford. Account last edited by Geoff Oxford at 16:21 on Fri 22nd Jun 2018.